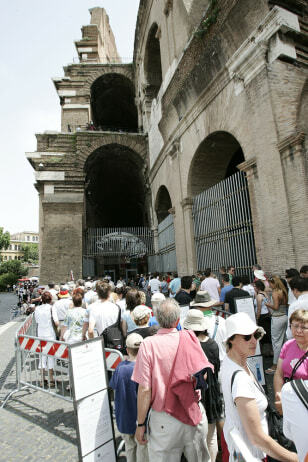 Tourists wait for security check as they line up outside Rome's Colosseum on June 19. Inhabitants of the Dark Ages feared that if the Colosseum collapsed, so would Rome and the whole world. So far, the symbol of the Eternal City has made it through 2,000 years.